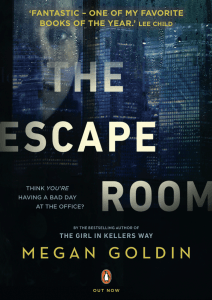 It’s remarkable that few thrillers are set in an office given the endless potential for intrigue and conflict in many, perhaps most, workplaces. Back-stabbing colleagues, behind-the-scenes machinations, office politics and a Darwinian fight for survival; there are few offices that don’t have an element of at least some of these characteristics. When I began planning my thriller The Escape Room I was keen to move away from the domestic noir genre to explore all of these ideas by writing a corporate noir thriller. Around the time I was brainstorming the book, I read ‘Sapiens: A Brief History of Humankind‘ by Yuval Noah Harari which puts human history in an evolutionary context. It prompted me to understand the workplace in an evolutionary context as well. When you think about it, it’s quite fascinating the way that colleagues work and collaborate together, but at the same time they are rivals for salaries, bonuses and promotions. They need and often want to work together, but they are also vying for resources. It’s a modern-day survival of the fittest. Perfect fodder for a thriller. And isn’t that really the story of most workplaces in one way or another? When I was getting ready to write, I was in the elevator with my son, going down to a basement car park. The lift stopped. The lights turned off. And a cold, hard knot of fear formed in my gut. It was pitch black. Too dark to see anything at all. My son clutched my arm, I tried to soothe him but I was just as terrified. A few minutes later as we began going into full-blown panic mode, the elevator jolted. It slowly dropped until the doors opened and we scrambled out of the darkness and into the safety of a basement car park. We emerged unscathed but the incident gave me an idea. Why not set my novel in an elevator. After all elevators are central to most offices. Yet they are rather unnatural environments. There’s a pressure cooker atmosphere about them and people can behave rather strangely in elevators. Then there’s the fact that people are in each other’s personal space and the perennial fear that many people have about getting stuck in an elevator. There is an enormous body of research on human behaviour in elevators which is fascinating because it shows just how much being in elevators goes against our natural instincts that scream against the idea of locking ourselves up in metal boxes to hang by cables hundreds of metres above the ground (even if statistically elevators are very safe). It made me consider the premise: What would happen if colleagues found out each others’ secrets in a stuck elevator. Slowly. One secret at a time. Their relationships devolving along with their psychological state until they discovered the most frightening secret of all – that one of them was a killer. With the concept taking shape in my mind, I sat down and wrote the first chapter of The Escape Room. As with my domestic noir thriller The Girl In Kellers Way. I don’t plan too much in advance. I’m one of those people who detests reading manuals or planning in detail. I’m hopeless with installing Ikea furniture because I usually bin the instruction manual and go for broke. That usually results in strange looking furniture! It doesn’t work with assembling furniture, but at least for me, using my instincts works when I write. It’s a similar technique employed by Lee Child, who read The Escape Room and called it “one of my favourite books of the year”. He too writes from the gut. I have a general idea of my overall story arc but that’s it. Everything else emerges as I write. I enjoy experiencing my stories as a reader and you can’t do that when you already know what’s happening in advance. And so I started writing and the characters and plot emerged. My hope is that there will be more thrillers set in workplaces because there are so many other themes for writers to explore. Megan will be appearing on the September Sisters in Crime panel, Extreme Situations Elicit Unusual Crimes, with fellow crime writers Pip Drysdale and Suzi Fox. Rising Sun Hotel, 2 Raglan St., South Melbourne. 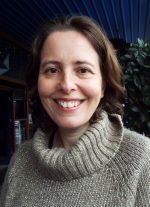 Megan Goldin is a former journalist who worked in the Middle East and Asia for Reuters, the ABC and Yahoo News. When she returned to her hometown of Melbourne, she took up crime writing. Her debut novel The Girl In Kellers Way was released in 2017 and her new novel, a corporate thriller, The Escape Room, was released in June by Penguin Random House Australia.